There are ten games that will be leaving Microsoft's subscription service for Xbox, Xbox Game Pass this February. Until 28 February, players will no longer be able to access these games from the Game Pass window. 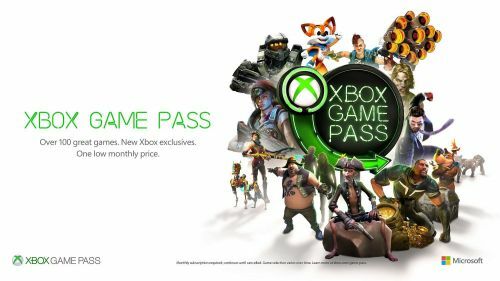 Microsoft consistently adds more games to the Xbox Game Pass service every month and they stay a while, usually not forever. Players will have to purchase the games that are leaving. However, Microsoft will be giving a special price for these games and you can then keep them forever. You can also find this list of games in the "Leaving Soon" category in the Xbox Game Pass tab on the Xbox One dashboard. It is the sixth section from the top, so scroll down a bit to see it. Aven Colony (2017): A city-building strategy game where you build a civilization to sustain humanity on an alien planet. Made by Team17. - $23.99. Dovetail Games Euro Fishing (2014): A pro fishing simulator offering where you can catch and find the best fish in Europe's lakes - $14.79. The Final Station (2016): A side scroller shooting game with exploration elements and a train simulator. $11.99. Kyub (2016): An indie game where you move the “Kyub” and use its abilities to solve devious puzzles and escape malicious traps. $7.99. Lumo (2016): A 3D isometric puzzle platformer. $15.99. Massive Chalice (2015): An Xbox exclusive turn-based strategy game with fantasy and historical elements. $15.99. Mega Coin Squad (2014): Tackle 16 levels in the solo quest for the Mega Coins in this manic 2D platformer from Big Pixel Studios and Adult Swim. $11.99. Resident Evil: Revelations 2 (2015): The first of the game’s four episodes are included with the Game Pass subscription until the end of the month. The season pass for all episodes is $17.99 for subscribers and the deluxe edition is $23.99. Shadow Warrior (2014): Reboot of the 1997 game made by the now-defunct 3D Realms. $23.99. Sonic CD (2011): Xbox 360 remaster of the 1993 flagship for the now-defunct Sega CD. $4.99. Video Game News: Apple to launch own video game streaming service "Apple Arcade"